Why is Rushline aligning with the entrepreneurial community? Next week at the event, Rushline will pre-launch an exclusive community dedicated to high quality Q&A among experienced entrepreneurs. “As an experienced entrepreneur whose career has been built around innovation in peer advice communities, I wanted to use the unique skills I’ve developed and our new, patented platform to serve other entrepreneurs like myself. The Rushline Entrepreneur RAC (Restricted Access Community) will do that,” Dan Morrison told the Arizona Technology Council today. Being an entrepreneur is a unique and often isolating experience, as very few people around you can identify with your myriad challenges. Having access to other entrepreneurs who have walked in your shoes through a highly effective, low cost platform for exchanging knowledge can be indispensable. The Arizona Technology Council encourages everyone that will be attending StartupConnect AZ next Wednesday to check out Rushline’s booth (right by the bar!) and register for its community. 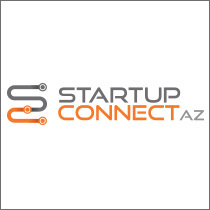 We are less than five business days away from StartupConnect AZ and there are still a few exhibitor sponsorships left: if you are interested in sponsorship opportunities, email Merry Lake Merrell, director of marketing with the Arizona Technology Council, today.